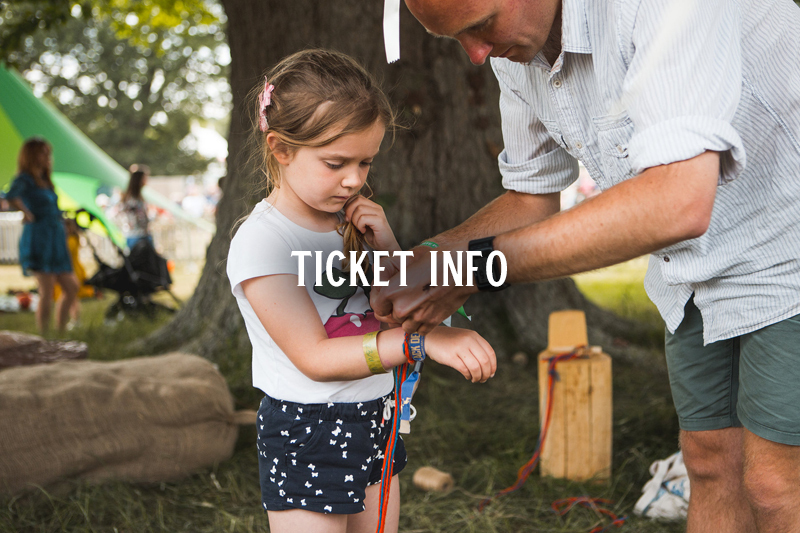 Black Deer festival Ticket Information - Everything you need to know. Any questions you have regarding tickets, you’ll find the answers below. You may be asked to provide ID at the bars. The bars reserve the right to refuse sale of alcohol to anyone unable to show valid Photo ID. Applications are not yet open for Black Deer Festival 2019. Only camping ticket holders are permitted to bring alcohol to site. No alcohol can be brought into the arena from the campsite. Under 18s are not permitted to bring alcohol with them. Alcohol can only be brought into the festival on first entry – No alcohol once wristband has been issued. NO GLASS is permitted onsite. Any alcohol in glass containers will be confiscated. Only unopened cans, plastic bottles or bag-in-a-box are permitted. Straight Spirits / Hard Liquor are not permitted on site. Sound Systems or any percussion instruments (Drums etc.) are not permitted at Black Deer. You are welcome to bring your own food for personal consumption into the campsite only. Please note, NO GLASS is permitted onsite. Food and drink cannot be brought from the campsite to the arena. Water and soft drinks in sealed plastic bottles or cans are permitted into the campsite only. Dogs (or other animals) are not permitted at the festival – With the exception of assistance dogs. Can I leave and re enter the festival? You can exit and re enter the site once you have been issued your wristband, but we should have everything you need in the general store in the campsite. You will be subject to search on each entry or exit to the festival. We are recruiting festival volunteers. Please visit a volunteer page for more details. How can I apply for Press / media passes? Is there a trolley service for luggage? We are looking at options for a rent-a-trolley service to assist you with taking your luggage from the car park to the campsite. More details coming soon. Yes there will be safe storage onsite. More details and prices coming soon. Yes there will be phone-charging points onsite. More details to be updated soon. Do you provide baby changing and feeding facilities? Yes, visit the children’s area or welfare onsite for more info on these facilities onsite. Yes there is a well-stocked general store in the campsite. The welfare team will log all lost property at the festival. If you are still onsite and realise you have lost something please visit the welfare tent to report it. If you have left the festival site and want to report a lost item please email info@blackdeerfestival.com and one of the team will get back to you. 2019 campsite opening times to be announced. Do you have a separate family / quiet / late night camping areas? We don’t have separate camping areas within the main campsite, with the exception of Accessible camping, which is only available by application. Full details are available in the Accessibility section. Can I buy electric hook up for campervans / caravans? Electric hook up will be available to book closer to the festival. Prices and more information coming soon. Unfortunately we cannot accommodate gazeebos in the campsite so please don’t bring them with you. 2019 arena opening times to be announced. When & where can I find out stage/set times? These cookies allow you to share what you’ve been doing on our website with social media organisations such as Facebook and Twitter. These cookies are not within our control. Please refer to the privacy policies of these organisations for how their cookies work. To categorise pools of users (on an anonymised basis) based on demographic and/or behavioural data and use this to, target our advertising to cookie-ed users on third party websites and use that data to allow targeted third party advertising to categorised cookie-ed users either in respect of advertising placement Black Deer Live Limited has bought/placed and targeted to users on behalf of third parties or in respect of advertising bought/placed by third parties and targeted to cookie pools Black Deer Live Limited has “sold” to these third parties. Some of our websites may use Google AdSense to publish advertisements. When you view or click on an advert a cookie will be set to help better provide advertisements that may be of interest to you on this and other websites. Our websites may use specific Google Analytics features including remarketing (advertising our products to you after you have visited our Sites); demographics and interest reporting (obtaining general demographic and interest information from Google); and impression reporting (information on the impact of our advertisements). You may opt out of Google Analytics. For more information on managing cookies, please go to www.allaboputcookies.org, or visit www.youronlinechoices.eu, which has further information about behavioural advertising and online privacy.